Both these posts deal with splitting a page into halfs, this tine we can to look at how to split a page into thirds. To modify the previous script (from the “Redux” post), to handle thirds instead of halfs, we need to make a few changes. 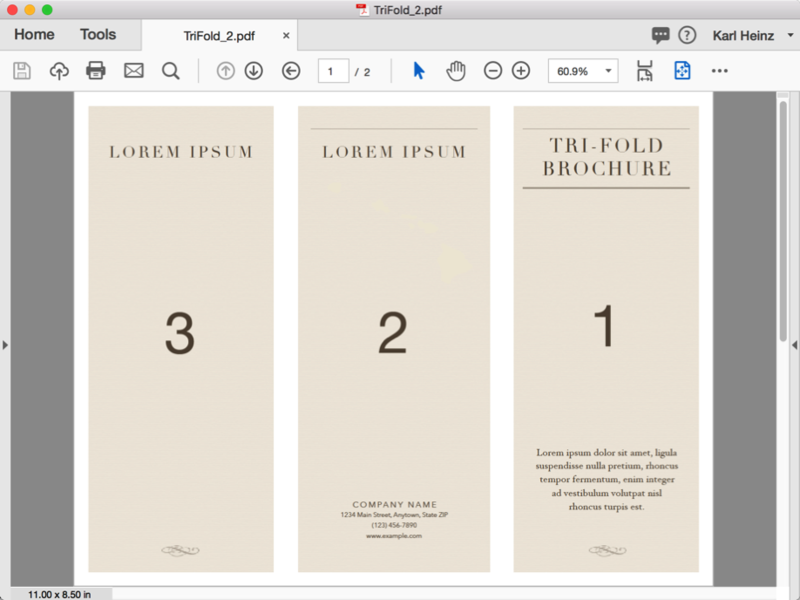 In general, instread of creating two copies of every page in the output document, we need to create three copies, and instead of creating two crop boxes (left and right), we need three (left, middle and right). // and right potion of the page. Thanks for the articles on this. I’ve customized it for my needs, but the essential parts are the same. I’d like to be able for other people to use it even if they have Reader DC. It works great in Acrobat 9 Pro, but I cannot get it to work in Reader DC. I’m on Windows 10. Just to test if I got something wrong, I’ve tried it with your script also and I’ve gotten the same results. John, the “Reader” is just what the name implies: It reads PDF documents (at least for the most part). It lacks almost all of the features that Acrobat has to modify PDF files. The page splitter works by heavily modifying a PDF file, so it’s no surprise that Reader will not do that for you. You need Adobe Acrobat Standard or Pro.